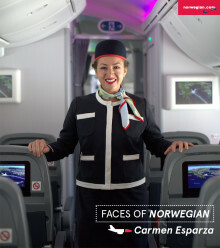 Meet Carmen Esparza. She was selected out of hundreds of applications and nominations to work on one of Norwegian's most important flights ever, Mission Yemen, delivering over 28 tons of aid and supplies to Yemen via Djibouti. We sat down with Carmen to learn more about her passion to help others.